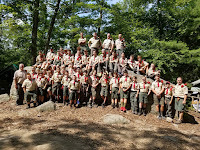 See below for albums related to Troop 75 in action for the 2017-2018 Scouting Year! Clicking the images will take you to the full album. Eagle Court of Honor - Conner P.